Locals pass a stock exchange board in down-town Tokyo. 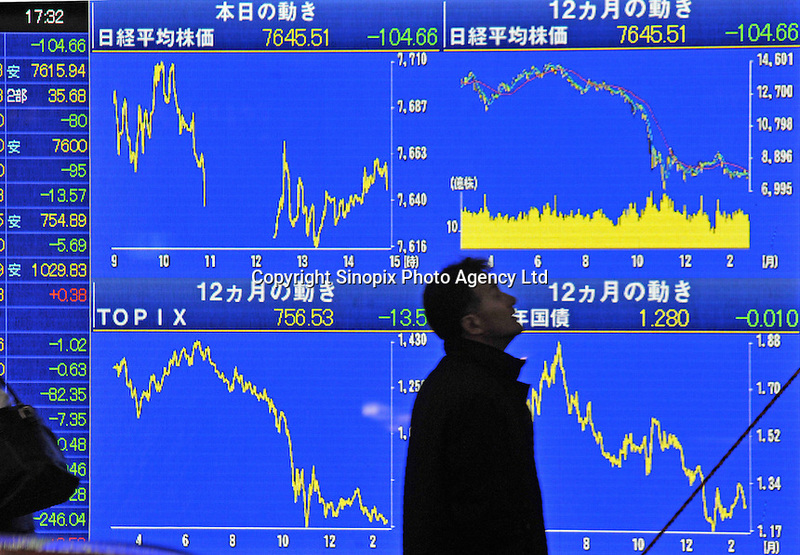 Japan is suffering the biggest shrinking of its economy for 35 years. Shares in Tokyo slumped to their lowest in almost four months, as financial shares such as banks and property firms slid on continued credit worries. .